Given below is the list of top Medical Colleges in Solapur 2019. Solapur offers few but good choices for the study of medicine. Considered as emerging medical institutes these colleges are known for their mordern infrastructural facilities, academic support and allround student support services. These institutes offers graduate and post graduate courses in medical sciences, nursing and other allied disciplines. MBBS Admission in Solapur medical colleges is based on either AIPMT or MHCET test score. 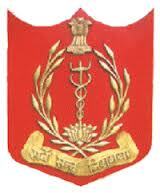 Enlisted are the Top Medical Colleges in Solapur for MBBS.